31 Weeks Pregnant and changing midwife. We received a surprise through the letter box a little while ago, it was a copy of the new Zoe and Beans book by Chloe and Mick Inkpen. Boo tends to say at almost 6 he is too old for Zoe and Beans, but E adores the books so we decided we’d have it as a bedtime story! With the summer holidays starting to loom just round the corner parents everywhere are living with a growing fear; What am I going to do with them all day for six whole weeks? Not everyone can afford to jet off to Spain for a few weeks and not everyone has endless relations on hand to look after the little darlings on alternate days. So if you are going to be with your nearest and dearest for six weeks just what can you do to make something to look forward to rather than something to approach with trepidation and dread? Get everybody feeling active by taking the whole family to the park for the day. Pack a healthy picnic with salad faces and crudités with dips and encourage everyone to get going in some way or another. Perhaps the boys might like to kick a ball about, the girls might like to go roller-skating; now cool again thanks to films like Whip It and specialist sports shops such as The Skate Hut selling ‘cool’ clothing as well as sports equipment. If you get the children hooked on a new sport early on in the holidays, this activity can be repeated and enjoyed while ever the weather isn’t too bad. If you want to really go for it, perhaps invite another family or two along and set up a ‘sports camp’ for the day with each parent taking responsibility for a different activity. This gives children social time with their friends and a whole host of different activities to enjoy. Plus you could split the responsibility for equipment and more importantly food and drink for that healthy picnic between all the parents, easing the burden on yourself. Genius! Youngsters like nothing more than the feeling that they have created something of their own that is theirs to keep and enjoy. Latch onto this natural engagement in creative activities by taking your youngsters to specialist art workshops like the ones run by Artbugs Studio near Leeds. If it’s your child’s birthday over summer, they can even hold arty parties which cater for groups to make and create all sorts of exciting things. Disclaimer: This post was provided for me by Victoria Sharpe, the thoughts and opinions do not necessarily reflect my own. Our camping adventures! We had some real giggles, trying to pitch the tent on solid ground, being attacked by mozzies, torrential rain and soggy pyjamas! Having an ectopic pregnancy and the emergency surgery that followed, it made me sad as I knew something was wrong, but I had to argue to be listened to. A week of being told it was a miscarriage, then 3 days of backwards and forwards to the EPAU before being taken in to surgery. It makes me sad not just for the loss of the baby, but the loss of a part of me, and I’ve changed as a person to. Erm.. our holiday, we didn’t think we could go anywhere other than for a day trip, but a bit of careful planning and agreeing to camping rather than a hotel stay and we found ourselves in S.W. France. I don’t want to name and shame, and they may well read the blog even though they claim not to. Anyway, they know who they are. My blogging buddies (thank you for all the support, I’m not always good at accepting help, but thank you to those who have been amazing during my dark hours), Mr G, Grandad G (although he probably doesn’t realise) and some very dear friends. You can’t control everything, however much you want to. Grief does stupid things, but blaming yourself for everything isn’t the answer. There is always someone worse off than you, but you are allowed to express your own grief. To be selfish sometimes, though watch out for the nasty greedy streak. Don’t be afraid to say it as it is, and you can do that without being nasty. Our holiday to France, the boys all on a see-saw and seeing their faces all light up! Going for a seaside walk and getting drenched in a torrential rain shower which soaked us all to the bone, it was a laugh or cry moment! My friend T, who just made me laugh out loud with her tales and ought really write a book about her neighbour. Ani, who reminded me that once upon a time there were two girls with big hair and mutual love of Tice Bridal. The ectopic, and all the fears that go along with it. Feeling that I’m not as good a person as I could be. Shouting at the children when I was post-op and not coping (but thinking I was). An apology from someone who I never thought would apologise. My friend losing her father. Both boys have been really good at donating their toys to charity, that made me proud that they are already generous of spirit. Boo has tried really hard at school, and listened to us when we told him to stay out of trouble rather than retaliate against a boy who was “playing rough”. Boo asking whether we’d be sending a box to Uganda again this Christmas, which we didn’t as I forgot, but instead we took things to the food bank. When I came out of hospital, Boo saw me crying and crept quietly into me, he flung his arms around me and told me everything would be OK, that is perhaps my proudest and most poignant moment of 2013, what an amazing 5 year old I have. Not crying hysterically like I wanted to until after I came out of theatre and the morphine got the better of me. Telling a person who has picked on me for years that to be honest perhaps it is them who is the problem and not me, life is suddenly simple as they are no longer in my life and I no longer feel like everything I do is wrong. Other than that, not very much sadly! Erm, I overcame my fear of hospitals, does that count? Plan an adventure, life is all about the adventure, and I think I need a new challenge! 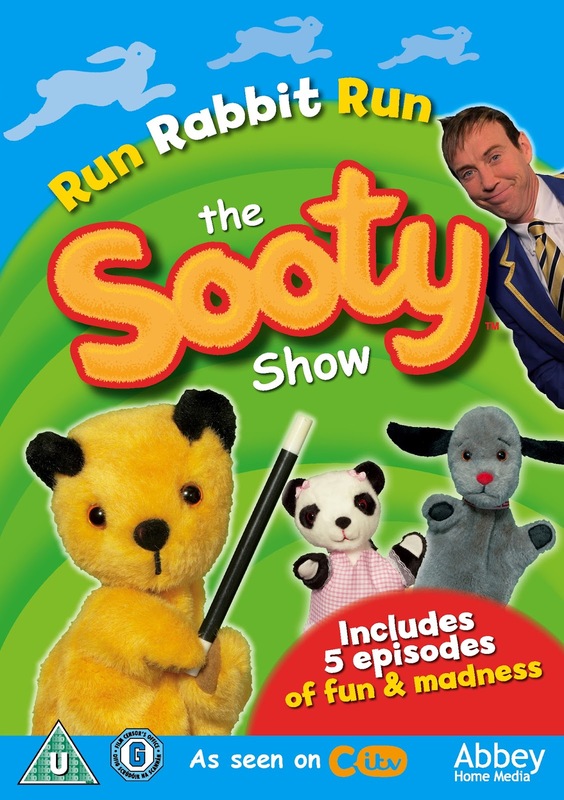 WIN 1 of 5 Copies of The Sooty Show: Run Rabbit Run! On DVD! Hands up if you loved Sooty as a child? I loved it and my youngest adores the fun and mayhem Sooty and his friends get up to! 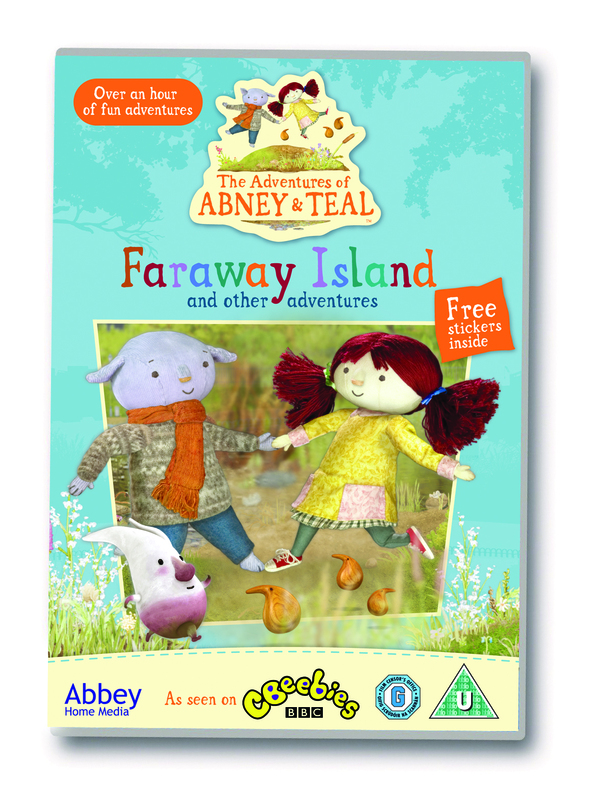 There is a brand new Sooty DVD due out soon called Run Rabbit Run and you have the chance to WIN one of FIVE copies thanks to Abbey Home Media! This year, I’ve been slowly trying to work my way around our home and improve each of the rooms. I’ve deliberately left the kitchen until last, our kitchen is small and as such my grand plans struggle to fit into the space. While it’s a functional kitchen, I think it does need totally reinventing and updating! As you can see it badly needs some TLC with poorly fitting cupboards, two tones of paint and generally a lack of any sort of style! I’m sure it was stylish when the kitchen was new.. c.1980? I plan to paint the walls in duck egg blue, and re-tile the rather tired white tiles. Eventually I would love to mosaic the wall, I saw a fantastic mosaic in a magazine somewhere but I’m worried that perhaps the mosaic is too much of a challenge to do myself, has anyone done one? Are they hard to do? Would it work in such a small space or would it be over kill? I’d love to update the sink and have a funky tap on a hose like this one, although Mr G has been reluctant to agree to that suggesting that it’d ruin the kitchen and make it look like a shower attachment! I’d like to have an integrated washing machine as it would avoid the current spaces between the units which looks unsightly and is a nightmare to clean between the units! I have my eyes on one of the Electrolux machines which has a weight sensor – that’d be so handy in our house to ensure I get the most economic cycle! 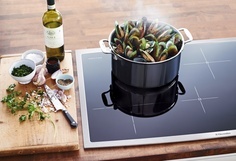 Watch out for the next post, which hopefully will show a slightly more modern kitchen! Disclaimer: This is a sponsored post, however all thoughts are my own and the plans to up date the kitchen are accurate. I remember results day like it was yesterday, my results arrived and I had missed one grade, I stared at the paper looking at the “C” which needed to be a “B” and felt failure. I still remember thinking “oh why did you go out to the beach when you should have been studying, now look what’s happened!” and yet I still remember those days spent on the beach with my friends so happily, I now wouldn’t change it for the world. I had to accept that University of Birmingham wouldn’t take me that year, the course only took 13 students and I stupidly hadn’t chosen a second choice place so was thrown into the depths of clearance. There were no places to do my first choice of course through clearance, and I had to choose to either wait a year or do something else. I was a stubborn teenager, and opted to do something else, something which resulted in my not especially enjoying my time at University, as although as I was good at what I choose to study the course itself was not at all suited to anyone who liked to think outside the box. I made some dear friends and have some fabulous memories from University, I also went on to study elsewhere for post-graduate so it wasn’t all bad. Why am I writing this? It’s A’level results day and somewhere someone will be feeling those same desperate feelings, sitting crying into their tea and believing that they have let themselves down. I often wonder how things may have worked out differently if I’d waited a year and gone to study my first choice of course, or if I’d got the right results to begin with. The reality is of course I’ll never know, but when I think back to the lazy days on the beach, days spent sailing with friends, falling in love with my first real love, the same love who broke my heart several years later, those are precious memories, treasure those moments. University will still be there, even when you’re old and grey! #WIN 1of 5 copies of 64 Zoo Lane: The Story of the Jungle Ball on DVD! 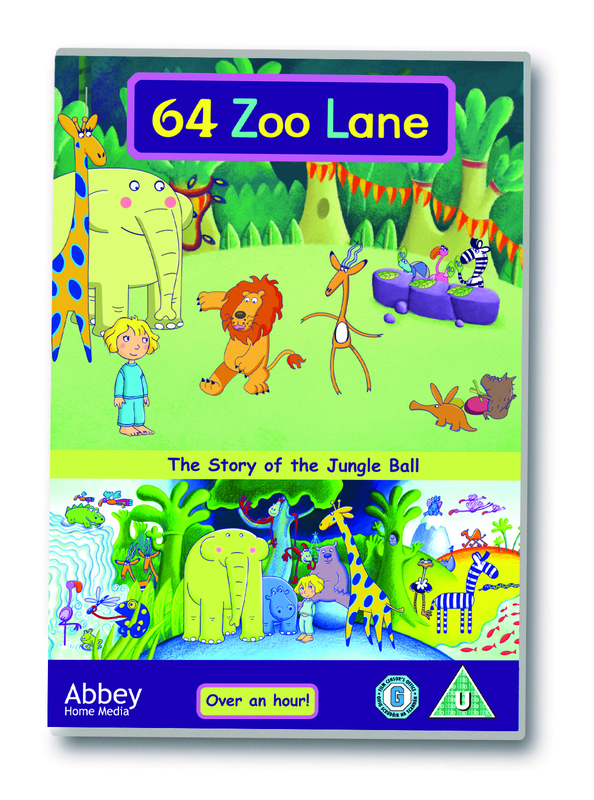 On the 26th August 2013 the new 64 Zoo Lane DVD will be released, and you could be one of the first people to own a copy by entering our competition which is giving you the chance to win 1 of 5 copies thanks to Abbey Home Media. With an hour of fun and adventures, 64 Zoo Lane: The Story of the Jungle Ball will be the perfect way to entertain little ones all the way into the new school term. Today is your very last chance to nominate a Local Little Hero for a Silver Spoon award! Do you know someone under 18 who has done something amazing? Whether they’ve been fundraising, helped to look after a relative who is unwell or done something amazing why not fill in the form and nominate them? You need to describe them in under 100 words before midnight tonight – 16th July 2013! 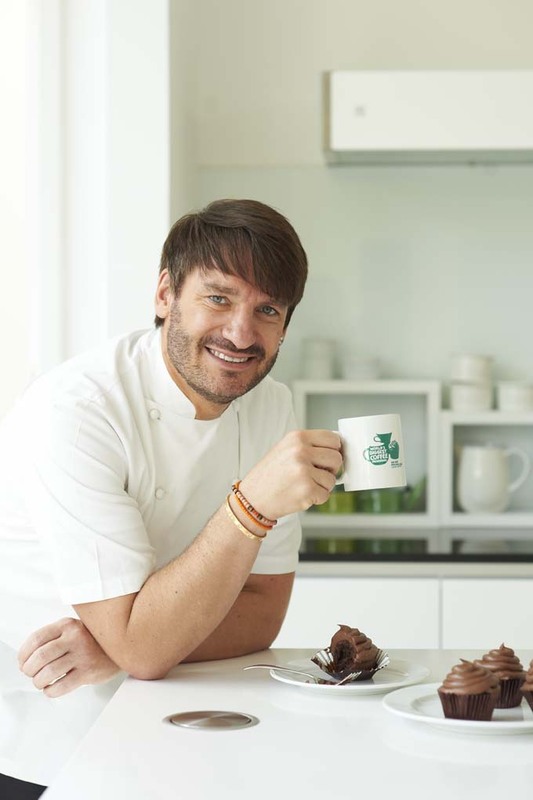 There is a main prize of a day baking with Eric Lanlard and ten runners up will win a baking goody bag, so if you know of an amazing young person (under 18) why not nominate them?